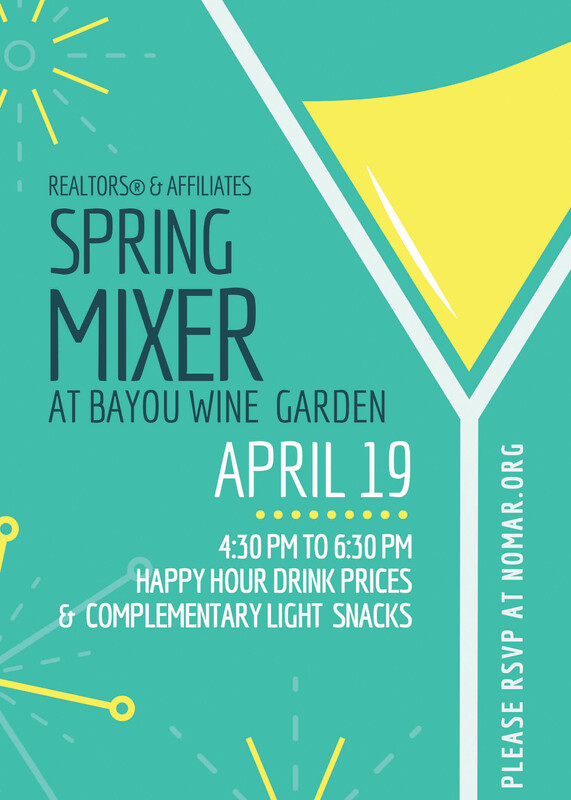 Join YPN on Friday April 20 from 3:00 to 5:00 pm at NOMAR's Metairie office for "It's All About The Numbers." How-To Happy Hours typically include, short, easy-to-understand presentations for those newer to the industry or those who just want to brush up on their knowledge. Metro-Area Economic Forecast and How to Apply it to Your Business - Wade Ragas, Real Property Associates, Inc.
Refreshments will be provided. Registration is FREE, but hurry - this event will fill up fast!